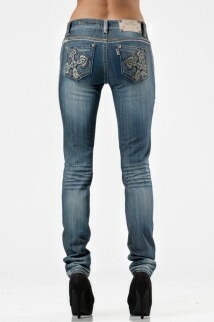 Embellished cross design on back pockets with crystal and white leather detailing. Detailed stitching. 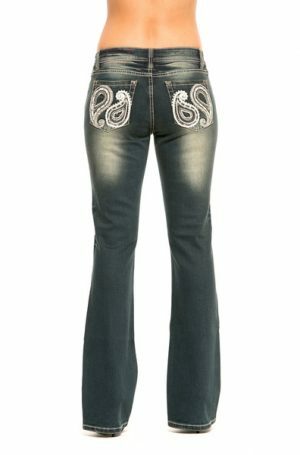 Crystals on front pockets and Rose Royce signature detailed crystal hem and rose buttons. Stunning embellished jeans that will look good in any wardrobe.